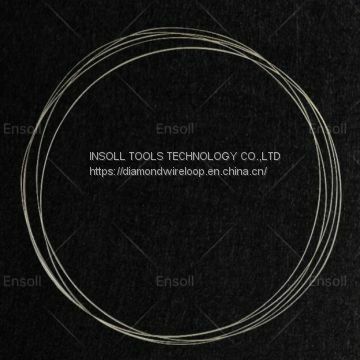 Home>Products>diamond wire>closed-loop diamond wire ,wire loop saw,Continous loop diamond wire saw. 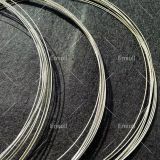 closed-loop diamond wire ,wire loop saw,Continous loop diamond wire saw. When cutting expensive materials, making just the right cut is essential. Kean diamond wire is designed to maximize cutting efficiency while producing the minimal amount of kerf loss. 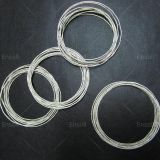 Loop diamond wire is one of the flexibility cutting tool, coated with diamond crystal. does not require secondary burnishing. With multiple advantages Diamond wire loop’s application scope are getting wider. It’s mainly used for cutting hard and brittle materials: tyre, stone, sapphire, monocrystalline and polycrystalline silicon,etc. 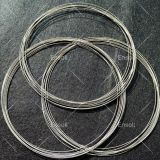 The wires are different in grain sizes, bonding, density, wire diameter and the strength. These are important properties for a effective and economical separation cut. 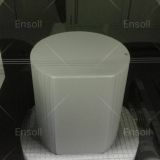 Size of the cutting workpiece.